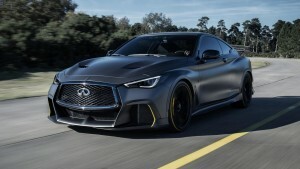 The Infiniti Project Black S just made its way at the 2018 Paris Auto Show. The car is unique in a way that it features a dual hybrid system. 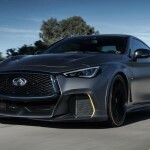 Before we proceed further, let’s discuss what Infiniti refers to as “dual hybrid”. Actually, it is derived from the system used by Formula 1 cars. 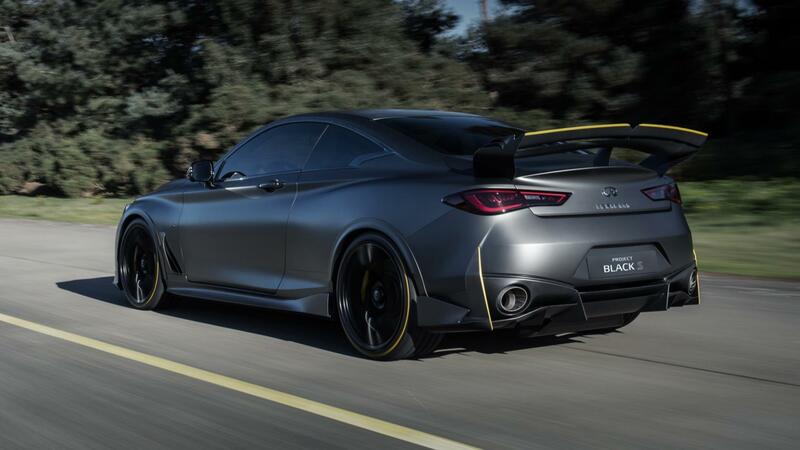 The dual hybrid system lets the Infiniti Project Black S recover electricity when it is braking and accelerating. There is a motor generator that is dedicated to that task. It also includes two electric motors that work hand-in-hand with the V6 engine of the car to collect heat from the dual turbo system. This, in turn, allows the turbines to spin faster and reduce turbo lag. The setup adds 120 kW to the drivetrain of the auto. Sadly, the hybrid system of the auto was not made to please the tree-huggers out there. It’s only designed to boost the performance of the car. The resulting output of the petrol-fed engine and electric motors is 563 hp. The numbers propel the 1,776 kg car from 0 to 62 mph in less than four seconds. The Infiniti Project Black S uses the Q60 as a base car. The special model features a custom bonnet, bumpers, wheel arches, rear diffuser, and roof. 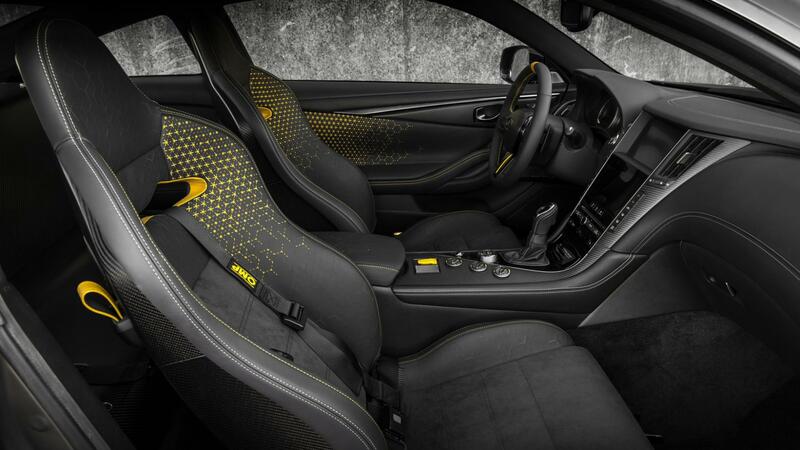 These elements make use of carbon fiber materials to optimize the vehicle’s weight. Renault F1 livery-inspired lines adorn the bumpers, rear wing rims too. Although not visible in the photos, the rear suspension and underfloor of the car were reworked as well. Meanwhile, carbon fiber brake discs and 21-inch forged wheels wrapped in sticky Pirelli tires help improve the performance of the auto. 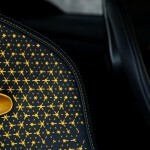 Going inside, the Infiniti Project Black S comes with sports seats covered in black leather with yellow accents. There is also a control for the three driving modes of the car, namely the “Road”, “Quali” and “Race”. 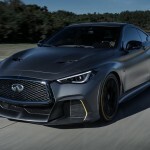 Those who are looking towards buying the Infiniti Project Black S in the market should not get their hopes up for now. Currently, the car is in its concept form. 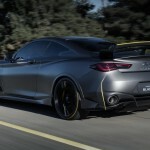 It is only a result of Infiniti and Renault Sport F1’s technical exercise. 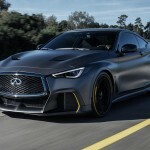 Infiniti ensured that they will continue developing the car though.